Properties in Hollycombe Steam Collection average 4.5 out of 5 stars. ‘Glorious Goodwood' & Central Chichester Location! Property 2: ‘Glorious Goodwood' & Central Chichester Location! 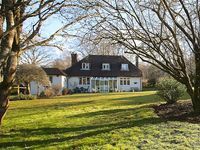 Cosy holiday home in a quiet area of Midhurst, West Sussex. Property 32: Cosy holiday home in a quiet area of Midhurst, West Sussex. Converted Barn set amongst the beautiful countryside of West Sussex. Property 39: Converted Barn set amongst the beautiful countryside of West Sussex. Hideaway for two in central Midhurst. Property 47: Hideaway for two in central Midhurst. 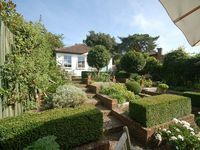 The cottage and garden were utterly delightful and we had a most enjoyable and comfortable stay. A wonderful clean and modern cottage. Close to a variety of sights. Fully recommend.